Local, clean accident free history on carproof, fully loaded SLT with 5.3L V8 engine and 6 speed automatic transmission. Leather with front heated seats, intellink (TM) with navigation, 18&quot polished aluminum wheels, Z71 off rail suspension pakage, balance of factory warranty, certified inspection and carproof is provided.All Preston Certified Pre-Owned Vehicles undergo a rigorous 100 point + safety inspection, come with a full CarProof Vehicle History Report, 30-Day Powertrain Guarantee and Exchange Privilege, Remainder of Factory Warranty, Preferred Financing Rates and are eligible for Extended Warranty*. 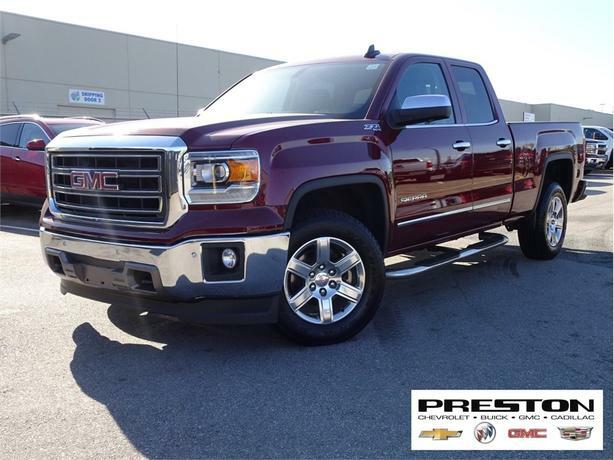 Located in the heart of Langley, come and view our huge selection of all make certified pre-owned vehicles or visit us online at www.prestongm.com to view more inventory, apply for financing, schedule a test drive and more. Trade-Ins are welcome! We are committed to making an easy purchase experience for our customers and are proud to serve Langley, Surrey and all of BC. * Some exclusions apply. Please call for details.